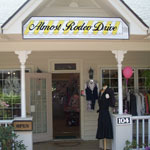 Almost Rodeo Drive, the oldest boutique in Blowing Rock, has been offering distinctive styles to the High Country since 1984. Almost Rodeo Drive is your one- stop shop for upscale Ladies' clothing and Jewelry, Home and garden items. Recognizable brand names such as Joesph Ribkoff, Tribal, and Krazy Larry are just a few that you'll find in our shop. Floral arrangements are made on site, and find gifts for all occasions, Aqua Flames, Oil Candles, flags, Birdhouses and Greenwich Bay soaps. Open year-round. Our objective is to provide our customers with a comfortable mattress that meets their budget. We provide luxury mattresses without the price. Largest mattress showroom in the area! ...Rest well, Live better! 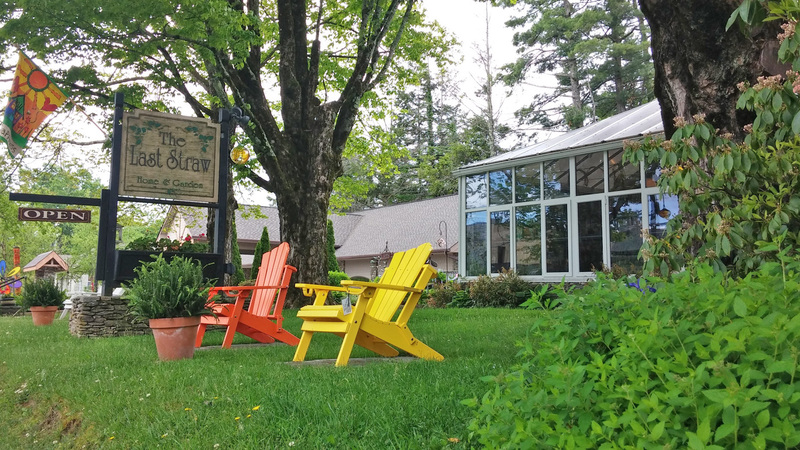 Blowing Rock Furniture Gallery welcomes you visit our beautiful 20,000 square foot showroom located in the gorgeous mountain village of Blowing Rock, NC. We offer a wide variety of proud American-made lines including Craftmaster, Bassett, Kingsdown, Sealy and Tempur-Pedic. Our design consultants are available to assist you with all your home furnishing needs, including "house calls" to finish your room. "Our business is being built on family, community and friendship. Come and experience customer service at the family level." â€“ Bill Smith, Director of Retail. Fine woodworking products to use everyday. Based in the North Carolina mountains, Blowing Rock Woodworks has its own inspirations and creating unique, one of a kind furniture pieces. Our team has been commissioned by global hotel/restaurants as well we have our retail line of products for wholesale clients. Come visit our showroom located at 109 Aho Rd Blowing Rock. Many furniture pieces that Blowing Rock WoodWorks builds are made from reclaimed or sustainable woods. From live edge dining tables, media cabinets, desks and consoles to patio furniture made from reclaimed teak boat wood. Blowing Rock WoodWorks has everything you need to furnish your home. We are a full service locally owned paint & decorating store - We pride ourselves on giving excellent customer service and color matching. We also provide expert color consultations in your home at no charge. Bears, moose, deer, oh my! 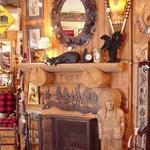 Since 1996, Cabin Fever of Blowing Rock has been a leading source of cabin decor, rustic furnishings and gifts. Outfit your mountain retreat with locally crafted wooden beds, reclaimed barn wood tables, and willow outdoor furniture. 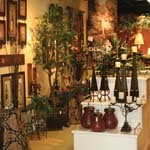 Rustic accessories include lamps, antler lighting, wall art, kitchen and bath decor and much more!! WELCOME! We had our start filling and sewing European quality down comforters, pillows, and featherbeds in the mountains of the North Carolina High Country, using all-European white goose down fills and the world's finest down-proof fabrics. For over 35 years, we have been combining our own-made down products with luxury bed and bath linens from France, Italy, Switzerland, Belgium, Portugal, and around the world. OUR COMMITMENT TO QUALITY Every member of the DEWOOLFSON family, whether a sewing machine operator, filling operator, quality inspector or sales, and customer service representative, is committed to bringing you the finest down products that our years of experience have taught us. Our linens are selected from vendors that we trust, with whom we have established long-term relationships, and who offer the highest quality sheets, duvet covers, shams and cases from Europe's finest textile mills. You have our promise to stand by everything we sell. The Gilded Lily by Patra, a gift and home decor boutique offers unique items at hometown prices. It originated in High Point, and for 17 years has been a favorite shopping destination. The BR location was mentioned in Southern Living Magazine as the favorite store in the Mountains. Featuring French Laundry Home outlet, gifts, jewelry, home decor, and much more! Gregory Alan's offers a wide variety of unique gifts and accessories for your home, patio or deck. We specialize in creative wall decor, including clocks, mirrors and tapestries, as well as other unique home accents in all price ranges. Open year round. Hickory Furniture Mart is the ultimate furniture destination. Choose from countless selections at affordable prices, featuring the most reputable manufacturers, designers and expert craftsmen within the furniture industry. Open to the public 6 days a week: Mon - Sat, 9am-6pm. The Last Straw offers an amazing array of silk florals, artful garden gifts, inspired accessories, architectural accents, patio furniture & so much more! Let our floral designers customize a beautiful arrangement for your home or business that you will treasure for years to come! Changing with each season makes for a unique adventure with each & every visit! Established in 1989 & widely recognized as the most fascinating and creative shopping experience in Blowing Rock! My Mountain Home is a new store featuring exquisite home decor, gifts, and furniture featuring local and regional artisans. 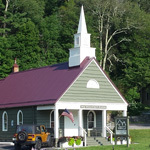 Located in the historically renovated chapel on 321. Open 10-6 daily. Only closed on Easter, Thanksgiving and Christmas. Open late every First Friday of the month for Blowing Rock's Sip & Shop Events! Funkin' up DT Blowing Rock since 1998, neaco specializes in all things groovy for the home. In need of an unusual gift, some slammin' tunes for your next bash, or a colorful piece of art for that blank wall? Drop on by, we've got you covered! And make sure to check out our newly opened lower level featuring mid-century modern furniture, artwork and lighting. Rustic specializes in all things rustic and handmade. Our reclaimed wood furniture fits in a Manhattan loft as easily as a cabin. Handcrafted gifts and accessories, made from natural products, are unique to the high country. Open year round.